All students are welcome to join L.A.C.E.R. SUMMER PROGRAMS starting June 18th - July 20th, Monday - Thursday 12pm - 4pm. 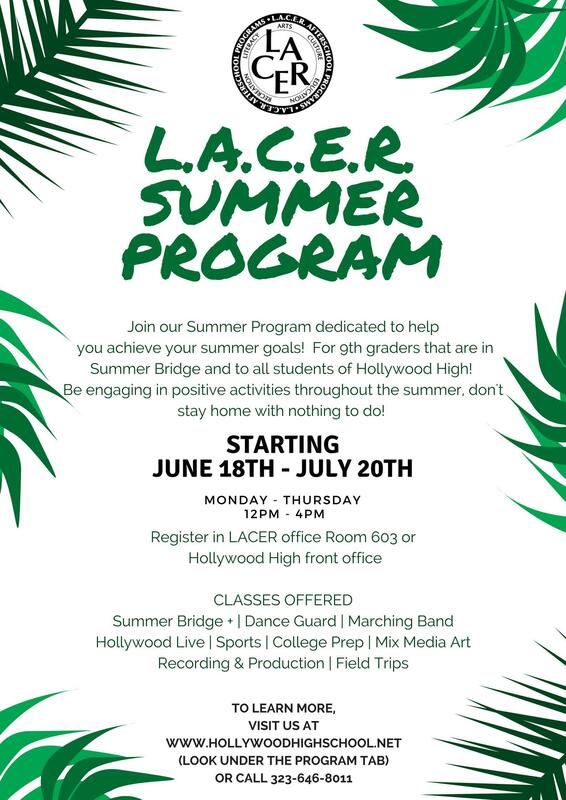 Students, please register at the LACER Office in Room 603 (Cafeteria) or Hollywood High School's Main Office. The following classes are offered: Summer Bridge, Dance Guard, Marching Band, Hollywood Live, Sports, College Prep, Mix Media Art, Recording & Production and Field Trips. See flyer for more information.